Sorry... the 2017 Mitsubishi Lancer is no longer being sold as new. 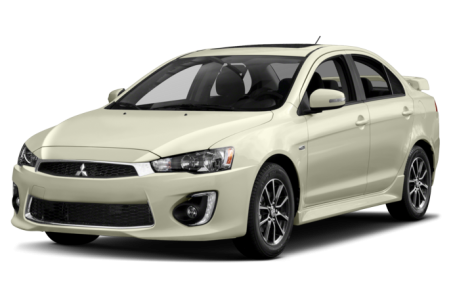 The compact Mitsubishi Lancer sedan offers a choice between front- or all-wheel drive and a 2.0- or 2.4-liter four-cylinder engine. The Lancer competes with the Ford Focus, Honda Civic, Mazda3 and Nissan Sentra. A backup camera and touch-screen audio system are now standard and the ES, SE and SEL trim levels get new two-tone alloy wheels. The GT model has been discontinued. 9 of 9 (100%) consumers said they would recommend this vehicle to a friend.